Sorry Albert, your brain just isn’t worth it. After Albert Einstein died, his brain was dissected and studied by scientists determined to discover the roots of the renowned physicist’s immense intelligence. They failed, and pieces of Einstein’s brain were shipped all over the world: some to academic institutions, some to private collections, some to places dark and unknown. The result of an international commission, The Gray Matter Sodality was formed to track down, acquire, and re-assemble every piece of Einstein’s brain. Puzzle based subscriptions are a lot of fun, and generally more cost effective than an escape room, so I keep a lookout for new experiences. The Gray Matter Sodality is more cryptic and mysterious than other boxes I subscribe to, so my interest was peaked by what could possibly be the goal of collecting Einstein’s brain. For this review, I was sent Months 1, 3 and 7. Each envelope comes with a varied amount of props that all contribute to the completion of each month’s puzzle. There’s a meta puzzle that spans all 12 months, but each pack is self contained. The props range from good hints as to what needs to be done to the centerpieces of the game itself! Puzzles are well thought out and break the mold from the standard puzzling fare, leading you on a multi-step hunt for the answers. The puzzles have a definite end point, and it is very clear when you have finished each month’s challenge. The value for money here is very, very low. Every envelope, should you be on the monthly plan, is going to cost you $25, which is the average price for a month to month subscription box, but instead of receiving a full mystery as you do with other boxes we’ve reviewed, such as Sleuth Kings, The Deadbolt Mystery Society, Dispatch, or Finders Seekers, you receive a total of one puzzle. One. There is literally no way that price is worth it, and though the puzzles tend to be multistep, the best month, month 7, took us 15 minutes to complete, that’s more than a dollar a minute! In fact, we can attribute most of the solve time for month one from our digging around for a certain tool that very few people are going to have on hand, and we were just lucky enough to own. 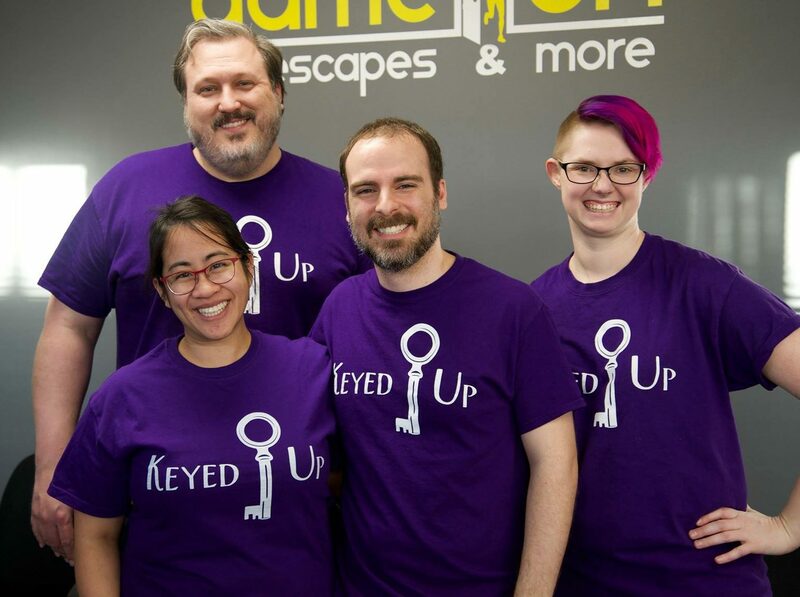 What we were sent was, functionally, $51-$75 worth of envelopes, and I figure that the total time we spent solving every puzzle was less than an hour. There’s absolutely no justification for that ratio of cost to play time. It blew my mind that for the price of a 3-month subscription to almost any other subscription box, you’d receive around 10% of the puzzling. It just makes no sense. Sorry for the rant, but you’ve got to know how sparse this one is. While the puzzles that are included can be clever, there is literally no way I’d subscribe to this one for any more than $10 a month, and that’s being very generous. The climaxes of each puzzle are fairly vague and unsatisfying, further damaging the value of the subscription. I was unable to experience the meta-puzzle, but I can’t imagine paying $204-$300 to figure that one out. The puzzles themselves can stray into leap of logic territory, and since there’s only one a month, the subscription itself is very hit or miss. If you don’t like the style of a month, you’re out of luck. $75 worth of puzzles, apparently. The Gray Matter Sodality is an interesting idea that costs entirely too much. There are some good puzzles, but nothing that’s worth the price. The good is hugely outweighed by the asking price, and you can receive multiple quality puzzles for your money from many other subscription boxes as previously stated. I’d probably rate this higher if it were cheaper, but the insane asking price is such a huge negative that I cannot recommend this one as it currently stands. Even if it were reasonably priced, I’d definitely say it was just alright, as other subscriptions blow it out of the water. If you’d like to give it a shot, however, you can do so here. Full Disclosure: The Gray Matter Sodality provided three complementary envelopes.